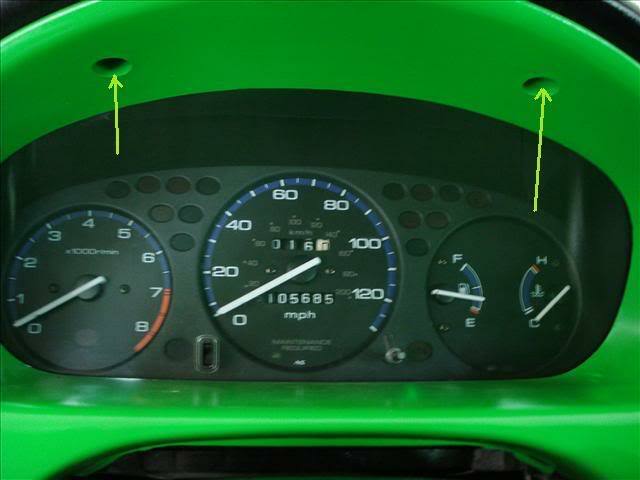 I got tired of the dim turn signal indicators in the gauge cluster and had some 5mm green LEDs lying around so I decided to install them and write up this DIY. This project is pretty simple and yields good, sharp, new looking signal lights. 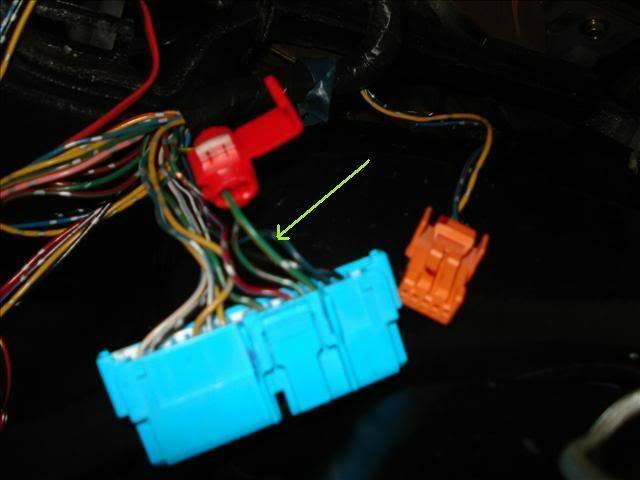 Note that this DIY is for a 6th Gen '99 civic so the wiring part, as in the color and location of the signal wires may be a bit different for other generations. 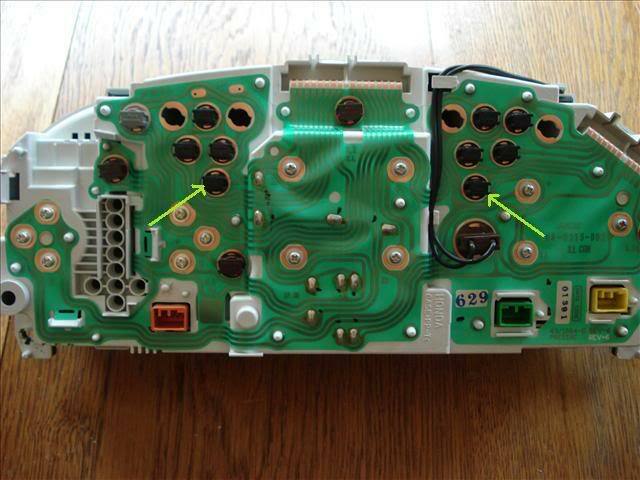 If in doubt use your multimeter to find the wires. First to make things easier, lower the steering wheel. Next remove the 2 screws holding that cover in front of the cluster in. Pull the cover out. 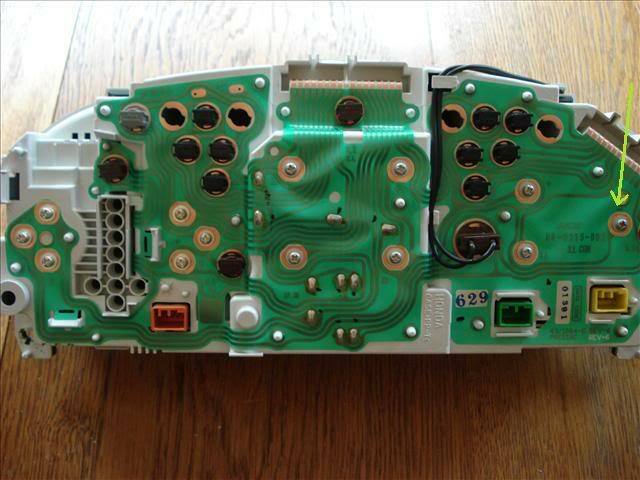 Next remove the 4 screws actually holding the cluster itself in. (You won't see the actual screws in my picture cause I already had them out and was too lazy to put them back in just for the picture, lol). 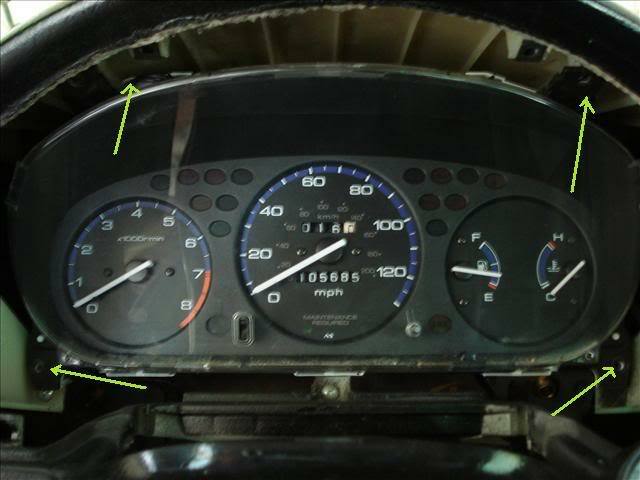 Carefully pull the cluster toward you and disconnect the several plugs on the back of the cluster. Now put the cluster on a table face down. 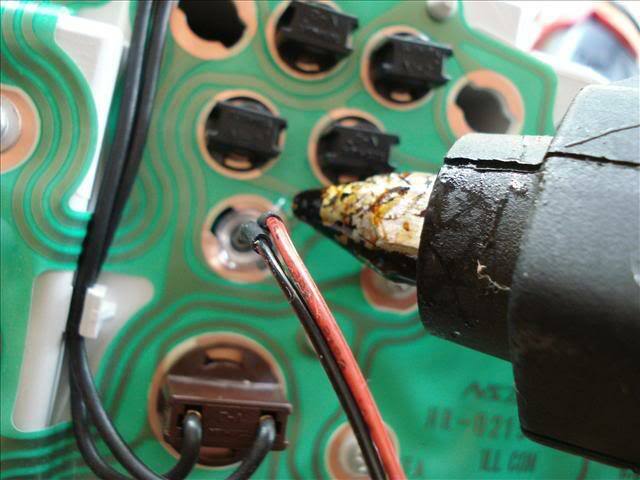 Remove the 2 old signal bulbs by twisting them slightly couter-clockwise. Next carefully, using a glue gun glue the LEDs in where the old signal bulbs were. Now you need to wire the negative side. I wired both LEDs negative sides to the screw in the following picture (using spade connectors) because it provides a good and easy to reach ground. Now, go back to your car. This is where you will need the wiretaps. 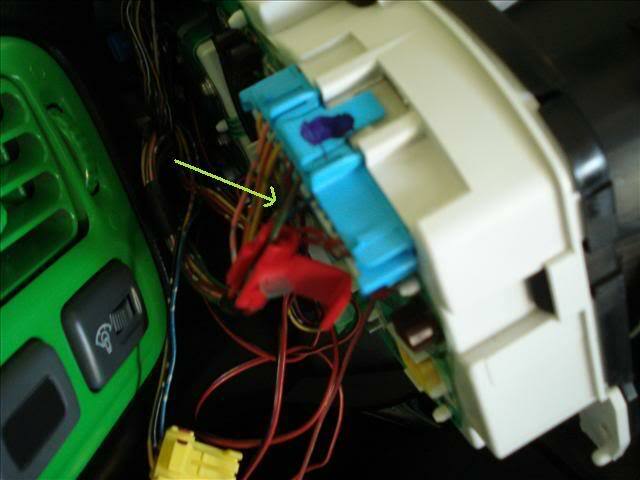 For the left signal LED + you will simply tap into the Green wire with a red stripe on the big left blue plug. 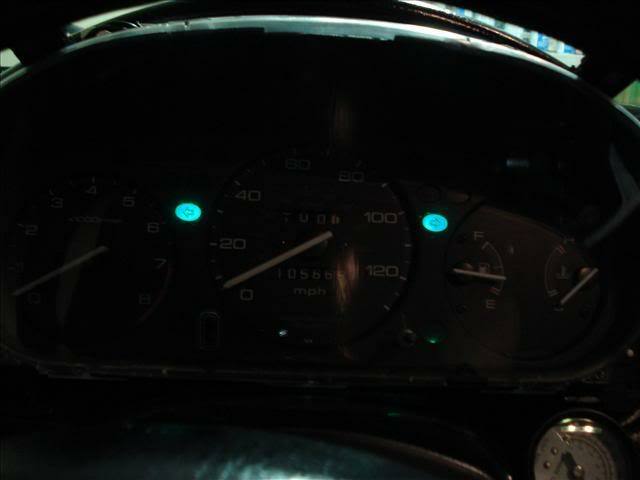 And for the right signal LED + you will tap into the green wire with a yellow stripe on the right big blue plug. Now, plug everything back in. Screw the cluster and cover back in, and there you go. You've got your self some sharp looking, really bright cluster signals!! 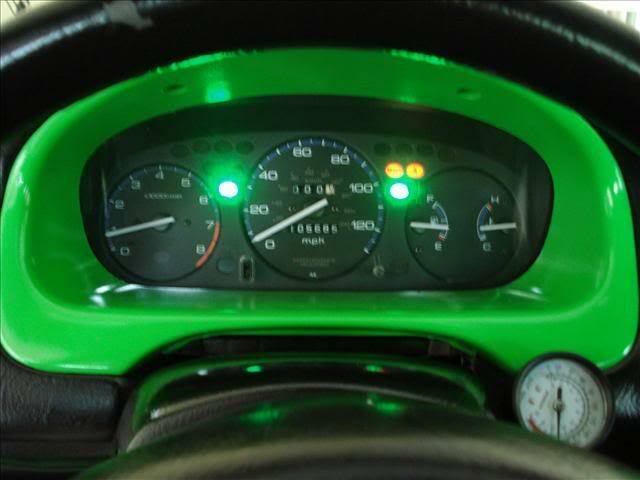 are LED turn signal lights a direct swap?